Hot and Trending: MANAFORT — Barnes Knows. 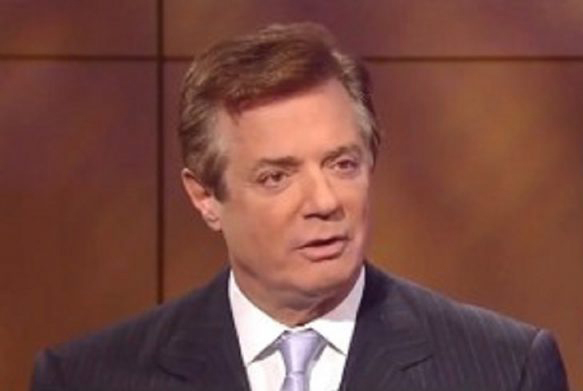 The multiple and manifest problems of Mueller’s indictment of ex-Trump campaign chief Paul Manafort raise more questions about Mueller than Manafort. Possible remedies for Manafort: dismissal of the indictment in its entirety. Manafort might be sleeping better than people think tonight. Mueller charges Manafort mainly for unregistered bank accounts and unregistered lobbying. After reading the 31-page indictment, I believe Manafort’s attorneys may have some very solid, legal arguments to get this case tossed. For example, Mueller may have manipulated the venue for bringing these charges (a concern first raised by Professor Dershowitz), and, most consequently, he appears to have ignored the limits on his own authority to seek and sign the indictment in the first place. Our Constitution and laws limit the people who can access a grand jury to bring a criminal charge that could deprive a person of their life, liberty and livelihood. The Constitution explicates this principal further through the Appointments Clause in Article II. The Constitution “divides all its officers into two classes.” (United States v. Germaine, 99 U.S. 508, 509 (1879).) “Principal officers” are selected by the President with the advice and consent of the Senate, and have broader authority and jurisdiction; “inferior officers” only have the authority their principal officer delegates to them, and their authority must be strictly limited thereto. (Buckley v. Valeo, 424 U.S. 1, 132 (1976)). Our democratic restraints require that any grand-jury-authorized indictment-seeking individual be appointed by an elected official, or have delegated authority directly on point. If they are a subordinate, then they can only act within their delegated authorization. When that official is given the de facto powers of the President or Attorney General himself — e.g., no one can review his decision to seek an indictment — Congress and the Department of Justice imposes stricter limits on his power. A “special counsel” has just such potential powers to indict without supervisory review or approval. Thus, the needs for strict limits on his use of those powers. Those limits commence with section 600.1 of Title 28 of the Code of Federal Regulations. The Supreme Court, in another dispute over the special counsel, made clear these regulations “had the force of law” and everyone was “bound by it.” (United States v. Nixon, 418 U.S. 683 (1974)). First, before any special counsel can be appointed, the Acting Attorney General must “determine that criminal investigation of a person or matter is warranted” and “that investigation or prosecution of that person or matter…would present a conflict of interest” and that it would be “in the public interest” to appoint such a special prosecutor. As other commentators note, Acting Attorney General Rosenstein failed to expressly make any of those requisite findings, which raises questions about effective authorization for all of Mueller’s actions. Now, look at the Manafort indictment. Guess what is missing from it? Any reference to links, coordination, the Russian government or the campaign of President Donald Trump. Here are a few words never mentioned in the indictment: Trump or Russia. It concerns decade-old lobbying for interests in a different country that has nothing to do with Trump or “coordination with the campaign of President Donald Trump.” Now, look at the timeline. Most of the events occurred as long ago as 2005 and mostly concluded in 2015. It literally couldn’t involve the 2016 presidential election. How is this indictment about “coordination between the Russian government” and the 2016 Trump campaign? That isn’t the only authorization limitation on this prosecution. Mueller brings tax-based charges, which require the approval of the Tax Division of the Department of Justice. The Tax Division maintains “supervisory authority over all matters arising under the Internal Revenue laws” and all tax prosecution matters are “exclusively delegated to the Tax Division to ensure uniform enforcement and application of the tax laws.” The Code of Federal Regulations expressly makes this clear in section 0.70 of Title 28. As the law makes clear, any prosecutorial function in all courts (such as use of the grand jury) related to tax “shall be” handled by the Tax Division. The Department of Justice Manual — the United States Attorney Manual— recognizes that “the Tax Division must first approve and authorize the United States Attorney’s use of a grand jury to investigate criminal tax violations.” (USAM 6-4.120). “No indictment is to be returned or information filed without specific prior authorization of the Tax Division.” (51 FR 40085-02, Department of Justice Tax Division Directive no. 86-59.) Notably, this applies “regardless of which criminal statute the United States Attorney proposed to use in charging the defendant.” (USAM 6-4-200). Former Assistant Attorney General for the Tax Division, Roger Olsen, has so testified under oath. The Manafort prosecution is a reminder of why Tax Division involvement is necessary: the indictment calls non-payment of taxes a money laundering offense when Congress expressly and explicitly excluded tax crimes from being money laundering offenses, and charges 3 different conspiracies into one conspiracy, by charging as a single conspiracy the conspiracy to commit specific offenses, and the conspiracy to defraud the IRS of taxes, and the conspiracy to defraud the Department of Justice somehow. Equally, tax policy recommends prosecution in the venue of a person’s home residence, with a law explicitly allowing for venue transfer in many misdemeanor tax charges. Manafort lives in Virginia; Mueller chose D.C., the venue least likely to give Manafort an impartial jury. What is the remedy for a prosecutor who seeks an indictment when he lacked the jurisdiction to do so? While generally unprecedented, there are analogous examples of similar wayward prosecutorial actions: when a prosecutor with a suspended license sought an indictment from the grand jury, the court required dismissal of the indictment because the prosecutor no longer fit the strict confines of who was allowed to seek an indictment. (See United States v. Gonzalez, Case No. 3:13-CR-00993-L, Doc. 44, Aug. 6, 2013). The D.C. District Court previously required separate supervisory approvals by non-task-force prosecutors to validate an indictment brought under like circumstances. (United States v. Oakar, 924 F.supp. 232, D.D.C. 1996). Dismissal is not only appropriate, but necessary here to prevent Inquisitorial type usurpation of authority by a rogue prosecutor. Grand juries of Americans protected colonists from wrongful prosecution by the British authorities; that is why it still exists. Its use must be circumscribed to those authorized by our elected officials to do so, or by express delegation strictly related thereto. Maybe the indictment isn’t all that should be dismissed.